What amazes me about amaryllis is the fact that a homely brown sphere the size of a softball can contain within it the potential for bold red blossoms to burst forth from its interior with a minimum of effort on my part. How incredible! I realize that onions and garlic are capable of similar feats, but it’s hard for them to compete. 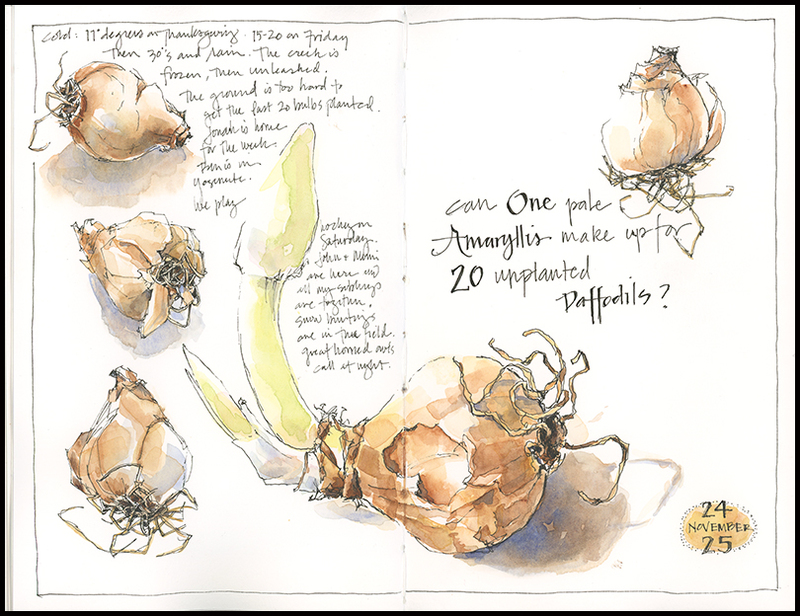 This is the last day that this particular bulb will fit on an 8-inch page at full size— it’s growing at about a half-inch a day— but you can be sure I’ll revisit it in a few weeks when the flower will make another beautiful subject. 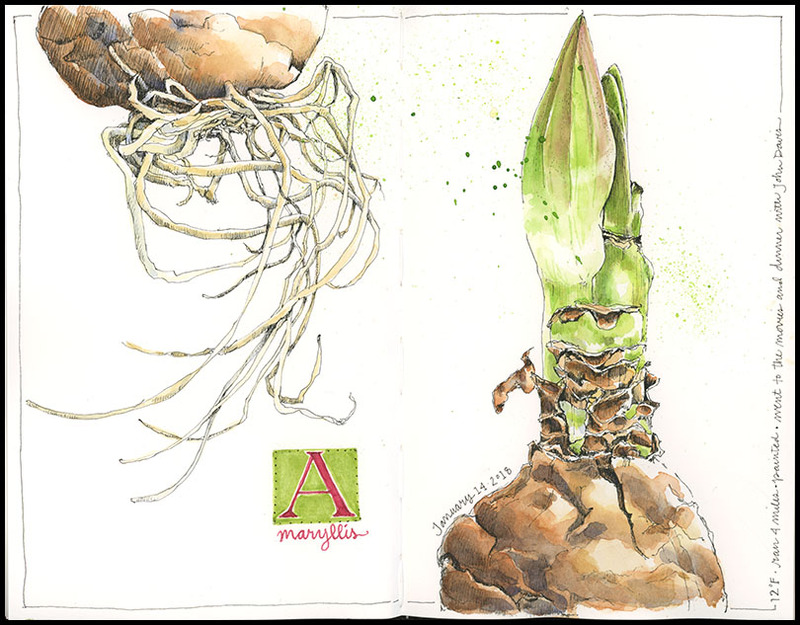 Tips and Techniques: Let me start with a confession: I drew the amaryllis to avoid working on a complicated owl painting I started last week. I started the owl to avoid working on a commission for a house painting I’m struggling with. So, my tip is that when you’re out on an artistic limb, it can be helpful to return to techniques you know well (for me, drawing in ink then adding watercolor). You may just regain the confidence you need to push yourself back out on the limb. And another tip: Did you know that you can load watercolor paint into a dip pen? That’s how I created the letter A. Mix the paint and load the nib with a brush. Give it a test run to be sure the paint is flowing and you’re good to go. You can even change up the color midway through writing if you want. Fun!